We are a mobile kitchen serving wonderful healthy Mediterranean food with a southwest twist. We are located on Rodeo Rd. (in front of the old saddle shop). 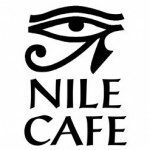 Come and taste a bit of Egypt!